This week, the National Book Critics Circle announced its 2018 award finalists for six categories. 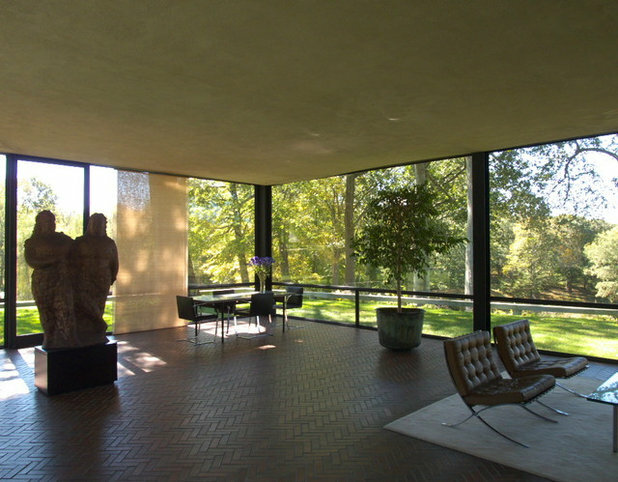 Included on that list is author Mark Lamster’s new biography of architect Philip Johnson, The Man in the Glass House: Philip Johnson, Architect of the Modern Century (Little, Brown). 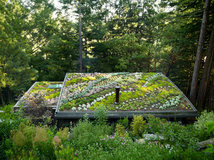 Johnson’s most famous building, The Glass House in Connecticut, still captivates design fans and sees frequent visitors every year between May and November. 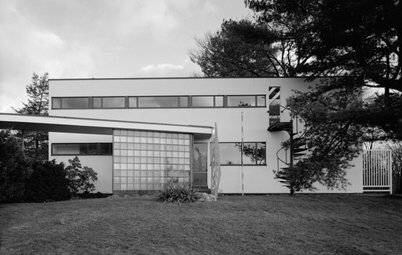 With the famous architect back in the news through Lamster’s biography, and with 2019 being the 70th anniversary of the building of The Glass House, it’s worth revisiting the design and its creator. 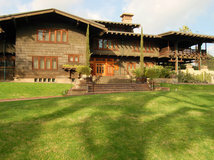 Johnson was one of the most well-known architects of the 20th century and one of the most controversial — he was a proponent of architecture styles but abandoned them easily. 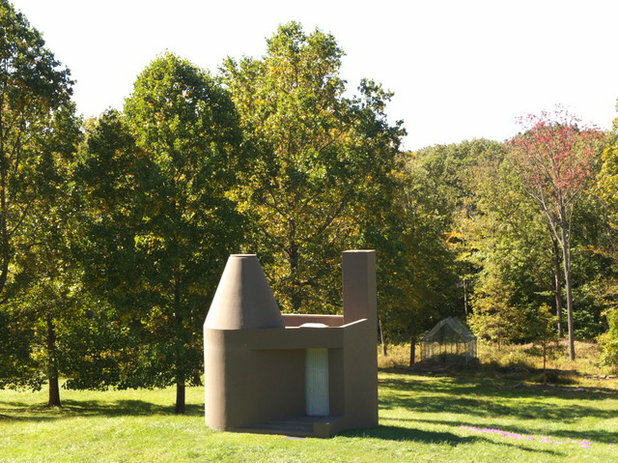 The 49-acre estate he shared with his partner, art collector David Whitney, includes 10 pavilions that Johnson designed in an eclectic manner over five decades. 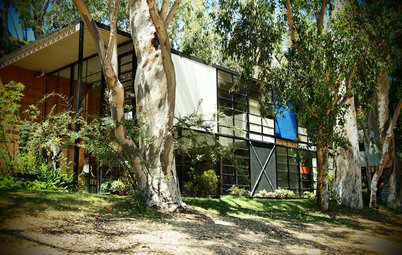 The most well known is The Glass House, which he designed and built in the late 1940s. 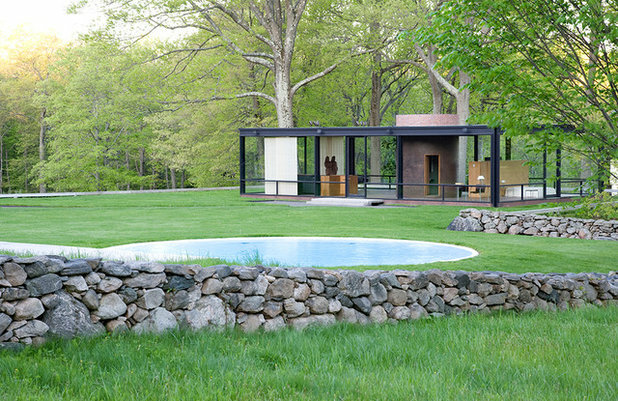 Today, the Philip Johnson Glass House is owned and operated by the National Trust for Historic Preservation; he willed his estate to the trust before his death in 2005. 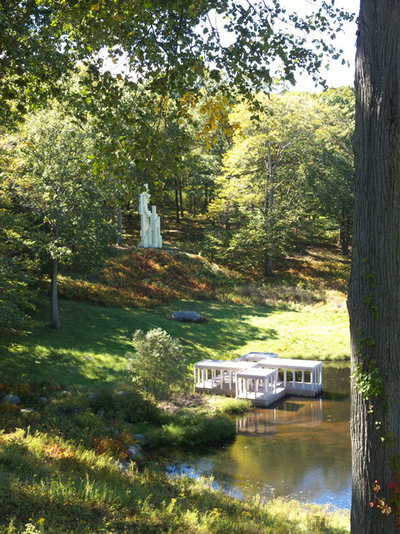 Since 2007, the NTHP has offered seasonal tours of the estate and The Glass House pavilion. 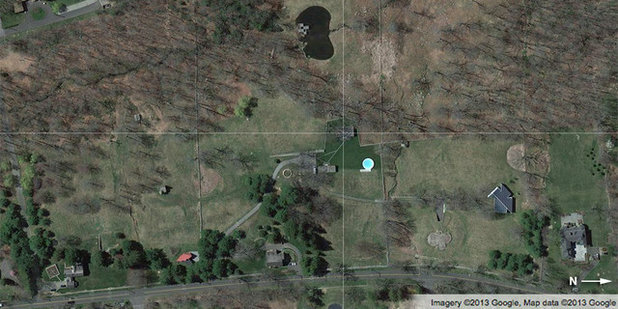 While the whole 47-acre compound is referred to as The Glass House, in this story, the term refers to the 1949 building; references to the larger estate will be indicated otherwise. 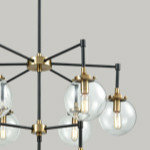 Johnson was born in 1906 but did not graduate from the Harvard Graduate School of Design until 1943. (He received an arts degree from Harvard in 1930.) Before graduating and practicing as an architect, he was founding director of the architecture department of New York’s Museum of Modern Art, co-curating the influential 1932 International Exhibition of Modern Architecture. 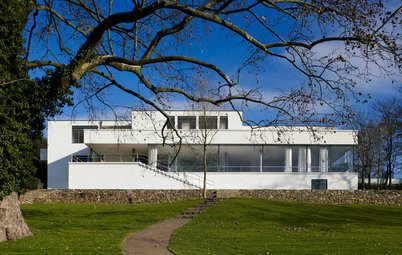 The show introduced European modernism to the American public and put the emphasis on style over substance (another controversial aspect of Johnson’s life). How did Johnson manage to accumulate nearly 50 acres in one of the most expensive areas of New England and be his own client on 10 occasions? Partly because of his long and successful career, but mostly because of family wealth. 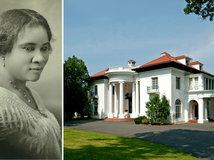 While his sisters were given land, he received stock in Alcoa — and the rise in the aluminum company’s stock meant Johnson’s wealth exceeded his father’s in the 1920s, solidifying his means for a long time. 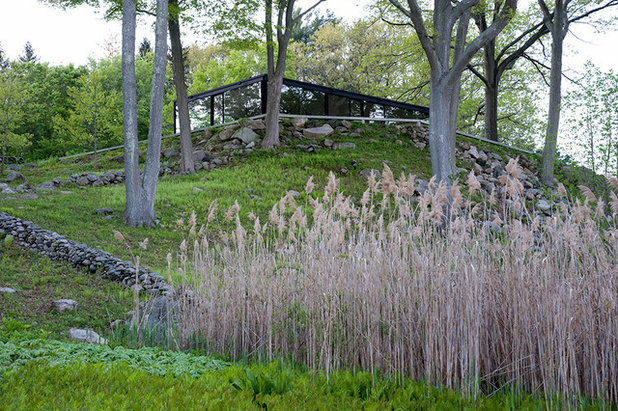 A couple of years after receiving his Bachelor of Architecture degree from Harvard, he purchased 5 acres of land in New Canaan and started plans on what would become The Glass House. 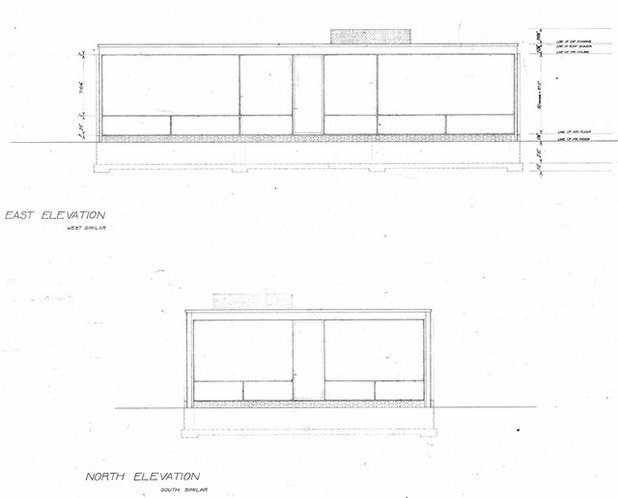 At the same time, Ludwig Mies van der Rohe was beginning a commission for Edith Farnsworth west of Chicago. 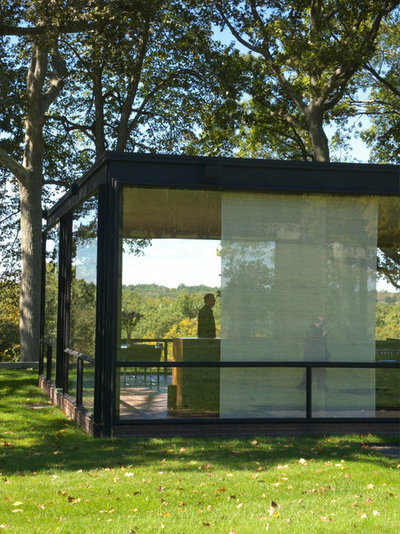 Even though Mies’ raised glass box would not be completed until 1951, Johnson was aware of it and was influenced by it. 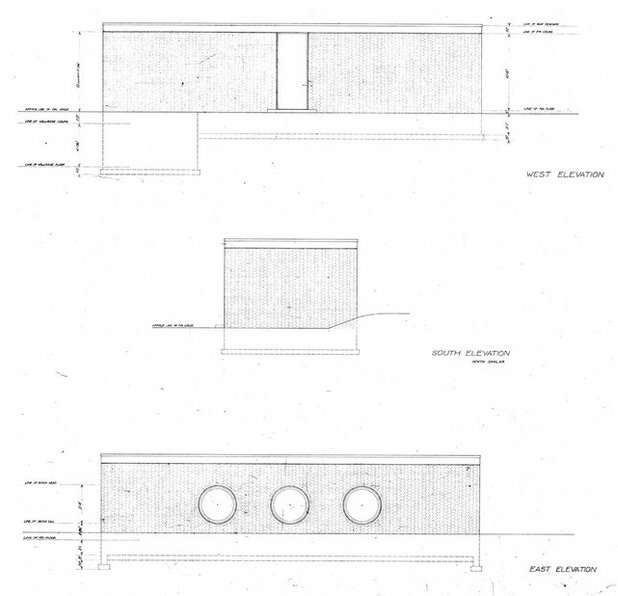 Nevertheless, Johnson departed from Mies in a number of ways, as we’ll see, making the houses just as different as they are similar. 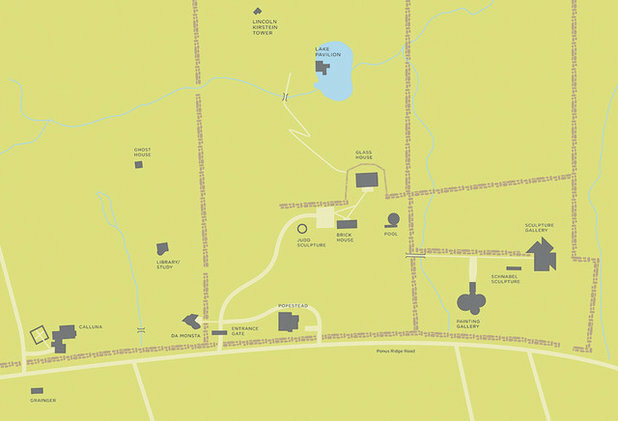 The preceding aerial view and this site plan position The Glass House roughly in the center of the 47 acres that Johnson would accumulate over the years. 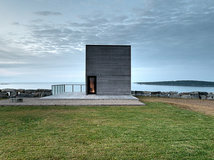 The property is cut up by stone walls that hark back to the farms that once dotted the area. The Glass House actually breaks apart one of the stone walls, positioned on a prow overlooking the land to the west that falls away to a small lake. The approach to The Glass House is on a diagonal path from the street. Johnson was influenced by interpretations of the Parthenon, in Athens, that emphasized a diagonal approach that accentuated the temple’s three-dimensional form. 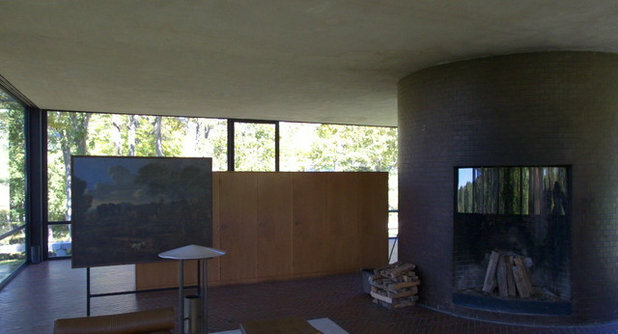 So even though The Glass House is primarily presented through photos like the first one, the photo shown here is the glimpse that is seen on approach. The stone wall that is broken slightly shields The Glass House, so it is not seen in its entirety until one is near, yet still at an angle. 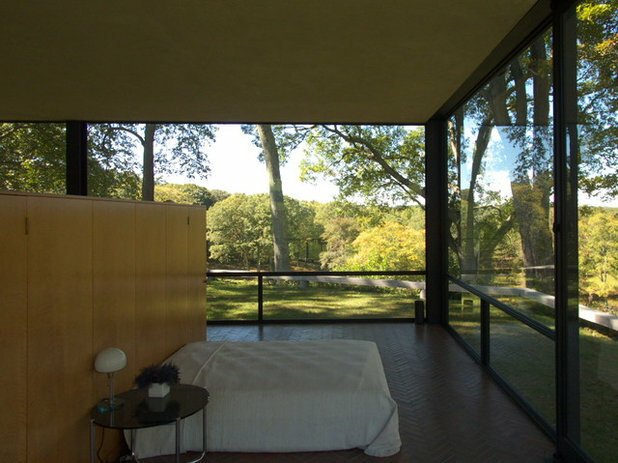 One of the first questions that many people have upon learning about The Glass House is: Where did Johnson sleep? 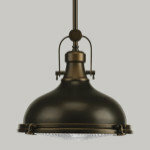 The answer is surprising to most: in The Brick House. The Glass House offers very little privacy, even on such a large estate, so Johnson built a second building at the same time, one that is predominantly solid. 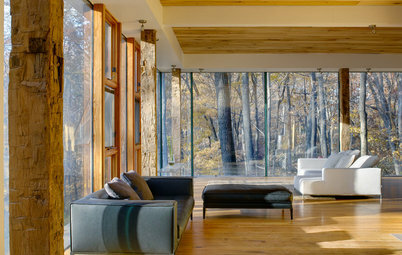 (Skylights and windows facing north bring in natural light.) 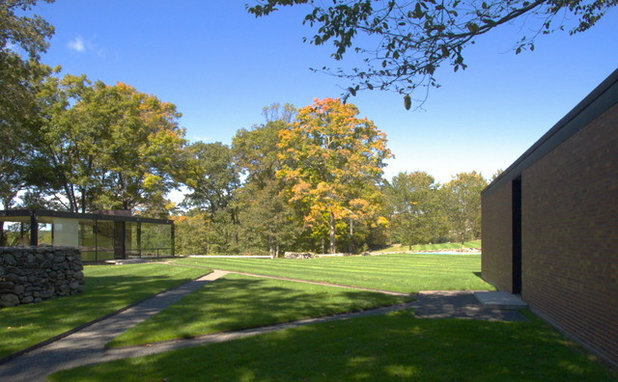 The two buildings face each other across a well-manicured lawn, a surface that reinforces The Glass House as being a pavilion, a statement in the landscape. 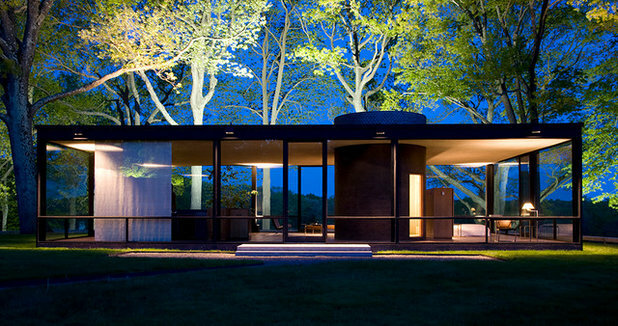 The Glass House is built of three main materials: glass, steel (painted black) and brick. 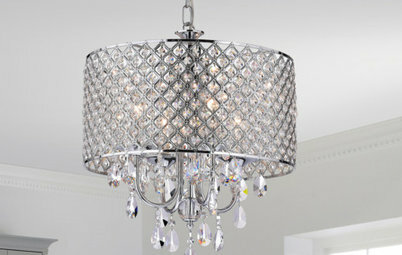 The glass panes are large (about 8 feet tall and 13 to 17 feet wide), but they don’t quite reach from ceiling to floor. 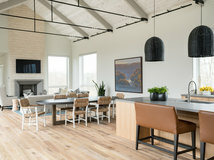 Smaller panes at the base provide a modern version of a chair rail at the perimeter, but they do not include operable vents; doors in the center of each elevation would have to be opened to naturally ventilate the interior. 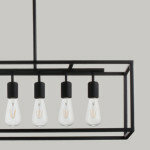 The steel is carefully articulated to blur the distinction between structure and framing. 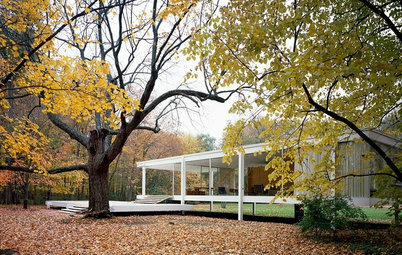 Unlike the Farnsworth House’s clear sense of structure, The Glass House appears to be a roof propped upon glass walls and framing. The third material is brick, which is used for the floor and a bathroom enclosure that also acts as a hearth (next photo). 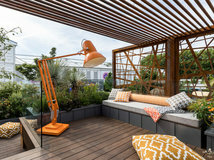 The herringbone pattern on the floor creates some ambiguity between inside and outside, especially as it is always seen with the lawn extending from it on all sides. 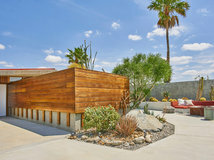 The wood millwork in the previous photo separates the open living space from a sleeping area that faces north. While the bed indicates that Johnson would sleep there on occasion (he was moved to and died in this bed in 2005), it’s easy to see how difficult it would be to sleep there regularly. Privacy could be accomplished only through the sliding screens (visible in a couple previous photos), and it would be difficult to sleep well past dawn, hardly ideal after a night of one of Johnson and Whitney’s famous parties. 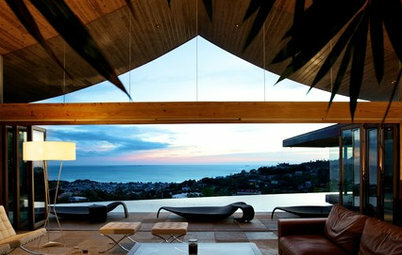 As mentioned earlier, The Glass House sits on a plinth above a slope. 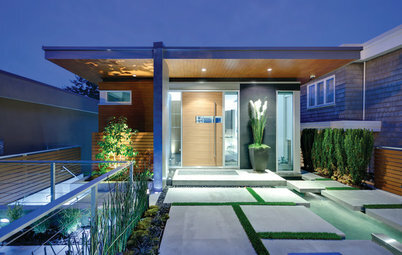 This separation is defined by low railings that work with the house to make it truly distinct from the landscape. A few of the other structures illustrate the eclectic nature of Johnson’s architecture on the estate after The Glass House was built. Here is the Painting Gallery from 1965, inspired by a tomb in Mycenae, Greece. Here is the Library/Study, which was painted white when completed in 1980, but he later changed it to a soft brown. The one-room space has one window, looking west to The Ghost House (1984), visible in the distance. 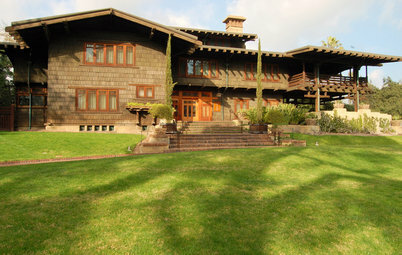 This is indicative of Johnson’s and Whitney’s carefully planned routes and vistas on the estate. The last building on the estate is Da Monsta, inspired by Frank Stella and completed in 1995. 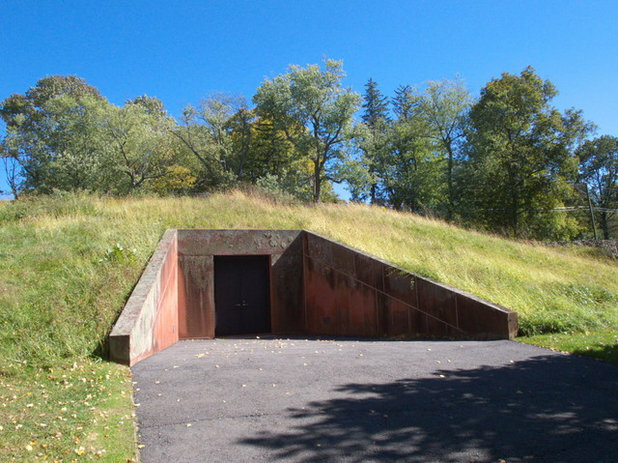 The building was designed to be an entrance pavilion for the future house-museum, but residents opposed the traffic this would create, so now the visitor center is in downtown New Canaan, across the street from the train station. 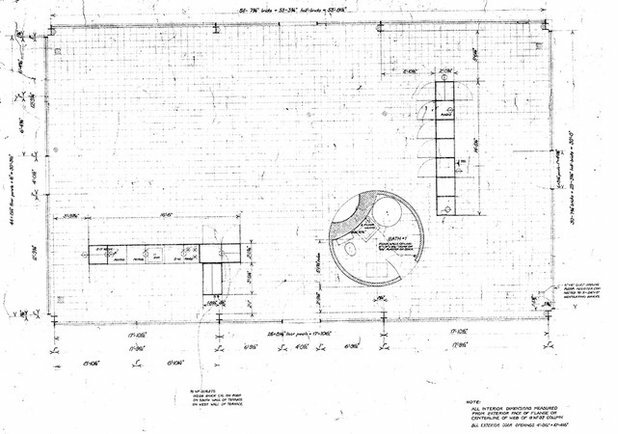 A floor plan of The Glass House shows only three pieces within the 32-by-56-foot rectangle: The circular bathroom-hearth and the millwork separating the living area from the bedroom were already discussed; last is the kitchen-bar in the lower-left corner. 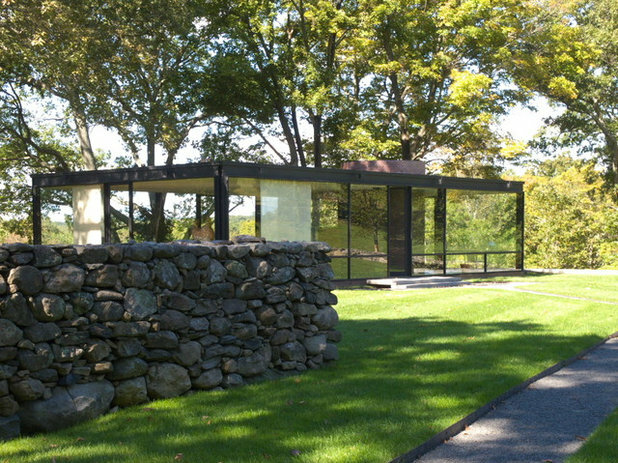 The Glass House, built between 1949 and 1995 is a National Trust Historic Site in New Canaan, Connecticut. 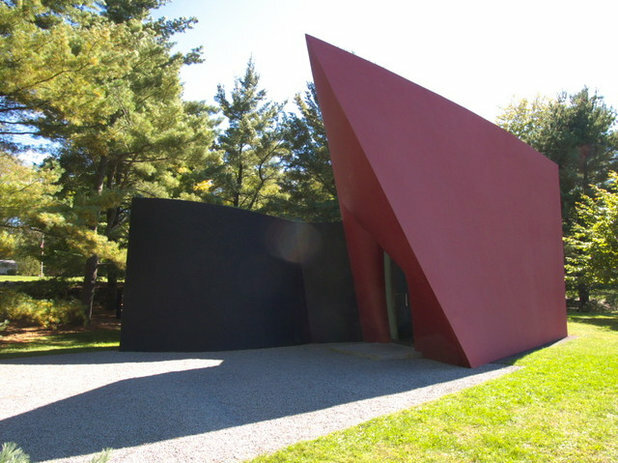 The 49-acre landscape comprises 14 structures, including The Glass House (1949), and features a permanent collection of 20th-century painting and sculpture, along with temporary exhibitions. The tour season runs from May to November, and advance reservations are required. For more information and tickets, click here or call (866) 811-4111. 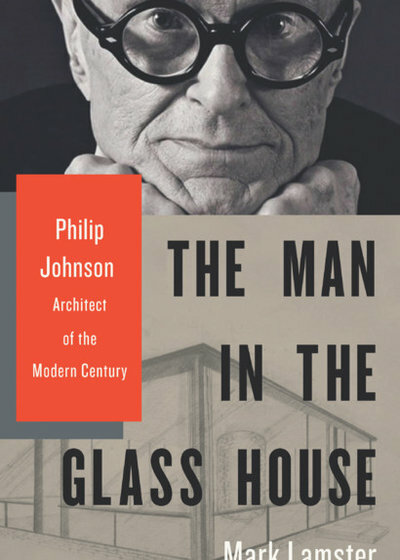 “The Man in the Glass House: Philip Johnson, Architect of the Modern Century” is out now from Little, Brown. Looking forward to reading this, after I meet my deadline. As an aspiring young architect in New Canaan (NCHS '76,) I remember climbing the 6'+ stone wall that surrounds the property, just to see the house. The deadline part should tell you, I became an Architect. Thanks for the article. 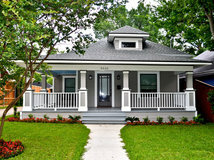 I liked the house at first sight. 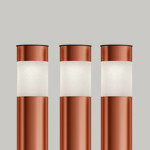 The design is very attractive. 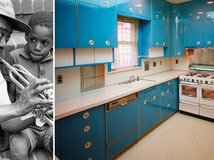 Architect Johnson spent a lot of time, money and effort to put his estate design into reality. 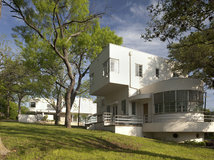 I was fortunate to meet Philip Johnson in Dallas, Texas. He designed the chapel for our church, The Cathedral of Hope which was completed in early 2000. 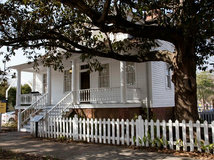 There are still his plans for a large structure on the property, but the funds were never raised. 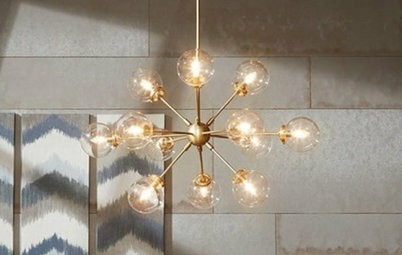 See how one expert distinguishes between two popular camps of interior architecture. Do you agree with his choices?